This creates a temporary directory that is used as the emulated Amiga's hard drive. The binary to be executed is copied to that hard drive's C: directory and a S:startup-sequence script that executes the binary on boot is created. This approach is a lot simpler than what I described in my previous post. The script shown above can now be downloaded. Stefan "Bebbo" Franke has forked Krystian Bacławski's AmigaOS cross compiler toolchain in an effort to update, amongst other components, GCC to version 6. I have created a Dockerfile for building a software container for use with Docker. This allows me to conveniently build and use the AmigaOS cross compiler toolchain, which requires a 32-bit environment, on my 64-bit Linux system. Christian Vogelgsang created amitools, a collection of tools to work with AmigaOS binaries. One of these tools is xdftool which can be used to work with Amiga Disk File (ADF)s. In the example below, I use another Docker container for running xdftool. The above assumes that you have Kickstart ROM files in the $HOME/.config/fs-uae directory on the host. 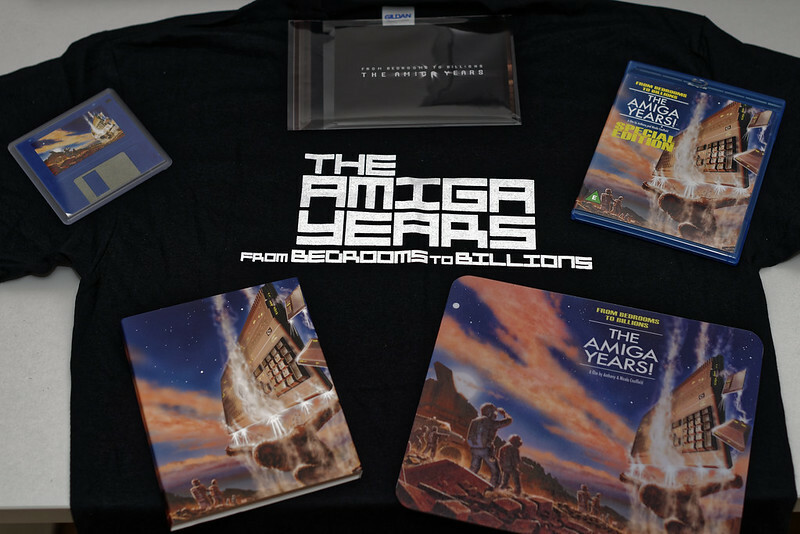 Today I received the physical rewards from the "From Bedrooms to Billions: The Amiga Years" Kickstarter that I mentioned in my previous post. I watched the Special Edition, which I had not seen before, and have to say that I like it even more than the Standard Edition. Especially the extended section of the demoscene was a welcome addition. Today I received my physical copies of ReShoot, a new bullet hell shooter for the Amiga 1200, Amiga 4000 and CD32.